LED lighting is normally viewed as an energy efficiency measure, but the technology also has many uses in home decoration. Since individual LEDs are very compact, they can be manufactured into lamps of any shape and size, with a beam shape that is tailored for each application. LED lamps can also be designed to produce different colors of light, and some lamps even offer an adjustable color output. Adequate product selection is very important when working with LED lighting, and having so many options available can lead to confusion. There are many LED products that offer a low price at the expense of lighting quality, and they can make indoor spaces unappealing. However, a high-quality product can also have poor results if used in the wrong application. The beam shape is a very important factor to consider in LED lighting selection. For example, a bulb that emits light in every direction may not achieve the desired effect if used in a spotlight. The opposite can also happen: if an LED lamp with a narrow beam shape is used in a pendant light, the downward beam and will not provide effective lighting to the sides and above. The color rendering index (CRI) is one of the main performance metrics of lighting products, and it indicates how a light source matches up against the natural light of the sun. The maximum CRI value is 100, and it applies for sunlight. 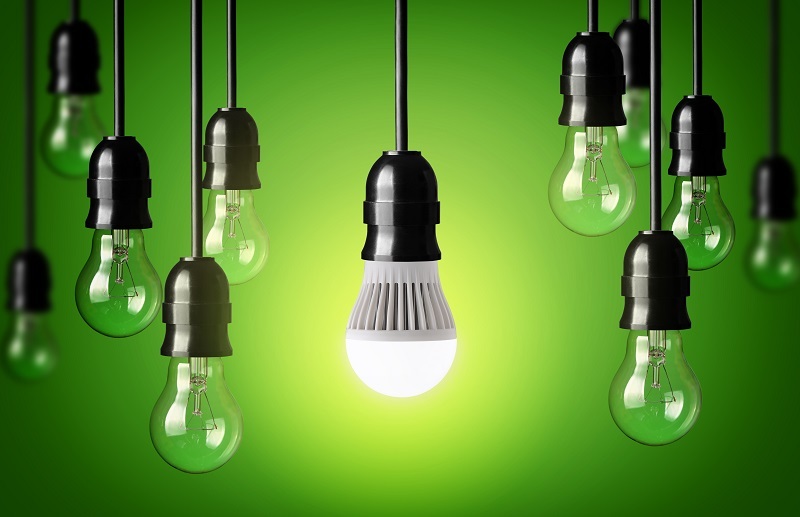 Incandescent and halogen lamps also offer a CRI of 100, but they are held back by their inefficiency. Lighting professionals recommend purchasing LED products with the ENERGY STAR label from the US Environmental Protection Agency. The label can only be applied after a successful testing procedure by an approved third-party laboratory, which means that manufacturers cannot label products on their own. There are many stringent requirements before an LED lamp or fixture can be labeled, and one of them is having a minimum CRI of 80. However, there are high-end LED lamps with a CRI above 95. A low CRI value distorts color perception for human vision, and indoor spaces may not appear as intended by the interior designer. In some cases, homeowners switch back to older and less efficient types of lighting because an LED upgrade was not satisfactory. When this happens, a poor product selection is the most likely cause. As previously mentioned, LEDs can be configured to produce any light color, and some lamps have an adjustable color that can be controlled from a smartphone application. The numerical value used to describe light color is the Correlated Color Temperature (CCT), which should not be confused with the CRI. While the CRI describes how well the light source represents the colors of objects and surfaces, the CCT refers to the color of the light source itself. For instance, a CCT of 2700K describes a warm white tone of light, which tends to have a relaxing effect. A CCT of 4000K refers to a neutral white tone, which is suitable for concentration over long periods of time, and a CCT of 6500K describes a cool white tone that enhances alertness and visibility. LED lamps with an adjustable color output can be combined with lighting controls to create “scenes” for indoor spaces. For example, a warm-colored and dim light can be used to watch TV, and a bright and neutral white light can be used for reading, all with the same lighting fixtures. With older lighting systems, this flexibility could only be achieved with different sets of lights. The antique appearance of incandescent lamps is preferred in some interior designs, but this does not limit the use of LED lighting. 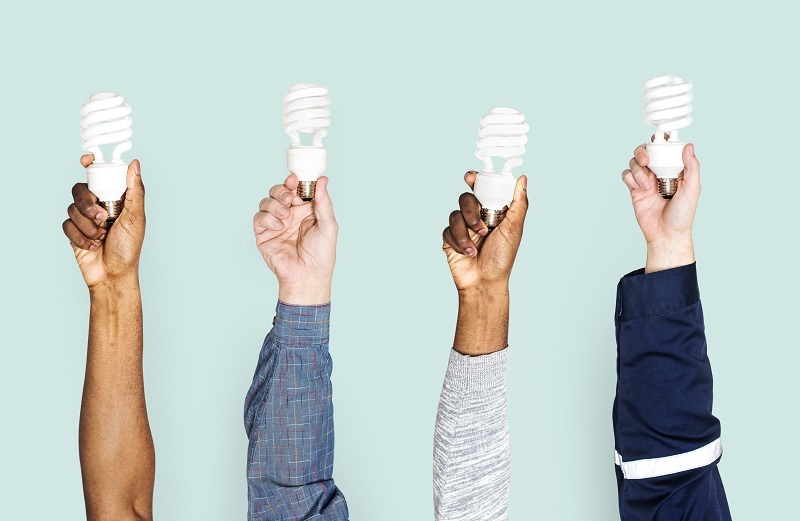 Since individual LEDs are small and adaptable to many lamp shapes, some manufacturers have developed lamps that mimic the appearance of incandescent lamps. With these antique-style LED bulbs, an interior lighting design can have the look of incandescent lamps with 80% less energy consumption. There are also LED retrofit kits, which can be used to upgrade older lighting fixtures. This approach conserves the design and appearance of the original fixture, while adding the efficiency of LED lighting. These retrofit kits adapt to existing light fixtures without altering their appearance, requiring only an internal rewiring. Also, the electrical installations powering these lamps do not need to be rewired, since LED lighting actually reduces the load on conductors.